The post Easy $20 DIY Sliding Picture Ledge Shelves appeared first on Remodelaholic. 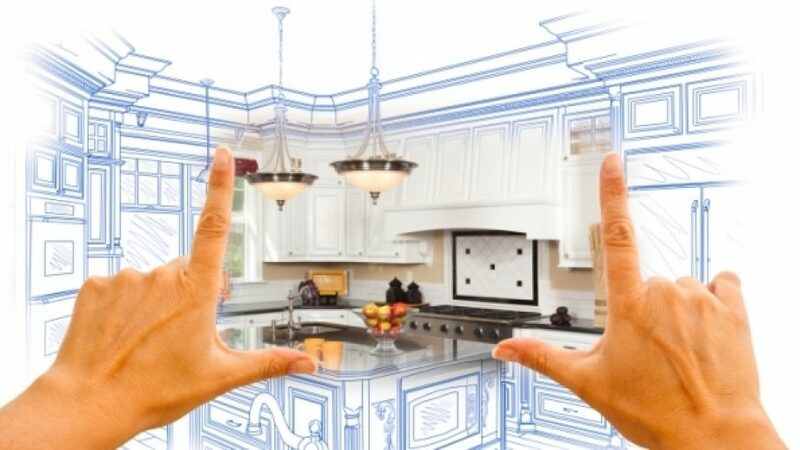 Hello Remodelaholic readers! This is Ananda from A Piece of Rainbow, where I blog about creative home and garden DIY projects. Today we are going to build something super pretty, useful, and beginner friendly! Ready? Here’s our easy DIY wall hanging wood shelf, which can be made in just one hour. It is great for organizing any space in your home. In fact, I am going to show you two ways to use it! wood: (1) 2×6 , (1) 1×8, both at 24″ long. You can also adjust the length to fit your space. knobs or hangers: I used 1.25″ diameter wooden knobs here. If you need to cut the wood to length, sand all cut edges first. Drill 2 pocket holes into the 2×6, space them at about 18″ apart. Mark the locations of the 3 knobs. Ours are equally spaced at 9″ apart. Drill 3 hole for the knob screws to go through. If the screws are too short, counter-sink the holes so the screws can reach through from the back, and past the front surface by about 1/2″ at least. If you want to paint any wood pieces or knobs, right now is a good time to do it. The 1×8 we have was from an old piece of shelving which was already painted white. Attach two keyhole hangers to the 2×6 piece using 1/2″ screws, space them at 16″ to 18″ apart, centered on the 2×6. This is the back side of the shelf. Attach the 2×6 to the 1×8 using 1.5″ pocket hole screws. Our shelf is almost complete! Just add the three knobs as shown below. Really easy isn’t it? To install the shelf on the wall, use dry wall screws or regular wood screws if screwing into studs. Space the screws the same distance as the hangers, check that they are level. Line everything up and put the hangers over the screws. Now we can use our new shelf! It would be great as a shelf by the entry or in a mudroom. Here’s another use for our shelf: as a bath room shelf! Here’s another idea for the wood knobs: turn them into Anthropologie style designer knobs in 5 minutes! Tutorial here. Or create a whitewashed wood finish ( tutorial here) for your wood shelf. If it does not sit flush on the wall due to the thickness of the keyhole hangers, add a sticky felt pad ( those you use to protect wood floors from furniture legs scratch) like in photo below! How would you use this shelf? Share with us on facebook and instagram, we would love to see it!